An AAC is a church who signed a certain treaty with the RAC, this treaty allows the implementation of followings articles. The treaty is negotiated by a legate nominated by the Curia to check the applicant church respect settled criteria. This function is temporary et disappear as soon as the treaty is promulgated or if negotiation are aborted. The applicant church recognize the Book of Virtues, as conserved at the Roman Library, as the unique and universal Dogma. The applicant church is localized on an specific territory and commits itself to never do any concurrence to the RAC or any other AAC already recognized. 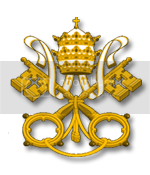 The applicant church recognize the RAC as rightly aristotelian and its Pope as the heir of Titus, designed by Christos to build his Church, preserve his message et spread the True Faith. The applicant church recognize the aristotelian nature of every other AAC. The applicant church is leaded by a patriarch. the Aristotelian Ecumenical Synod is the place where the RAC and the AAC talk and coordinate themselves. Its the symbol of the universality of the aristotelian message. It is located in Rome. Its members are the Pope, the Cardinals of the RAC (romans and suffragans), the Primates of the RAC and the Patriarchs of the AAC. Some AAC can choose to have the same patriarch. Curches concerned by following articles are the RAC and every AAC recognized by the Roman Curia. Every church recognize the clerics of other churches and will grant them the respect linked to their charges, ranks and status. The churches also recognize the same rank for roman cardinals and patriarches. Every church recognize the sacraments done by the clerics of another church and validated by this church, within the limits set by the treaties. The RAC recognize to the AAC the right to canonize their own saints if these are strictly locals. They will also be allowed to submit saints to the normal procedure of the Saint-Office. Churches promise each other mutual assistance in he defense of the True Faith, if necessary by military means. Every AAC will be allowed to send and observer at the Saint-Office. It could also send an observer or set a collaboration with every congregation, order or roman institution with the agreement of an authorized responsible. The treaty is valid as soon as promulgated by the Cardinal Camerlingue, the Patriarch, the legate in charge of negotiations and a negotiator of the new AAC. The treaty must precise the territory of the new AAC. The treaty must precise eventual exceptions or limitations to the general rule of mutual recognition of clerics and sacraments. The modification or repeal of this treaty must be done by a bilateral negociation between Rome and the concerned AAC under supervision of the Aristotelian Ecumenical Synod.